Aaron Rodgers may be able to keep his cool with 250-pound lineman chasing him all over the field, but put him next to a little old lady on a TV commercial set and you&apos;ll see a new side of the Green Bay Packers quarterback. 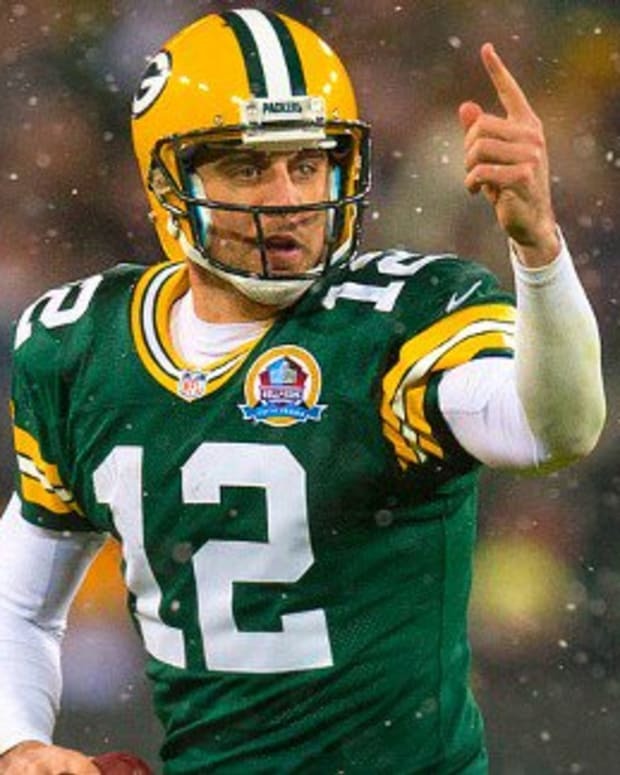 The San Francisco Chronicle reports that Rodgers spent part of his locked-out summer filming commercials for a Midwestern bank called Associated Bank. His co-star was an elderly woman named Edith.